This celestial garden overlooking the Pacific is privately owned. Many of the species of plants are rare and hard to find. Some were donated by George Harrison. While it's a peaceful and serene place, rappelling is also offered for those who want a little more activity while there. 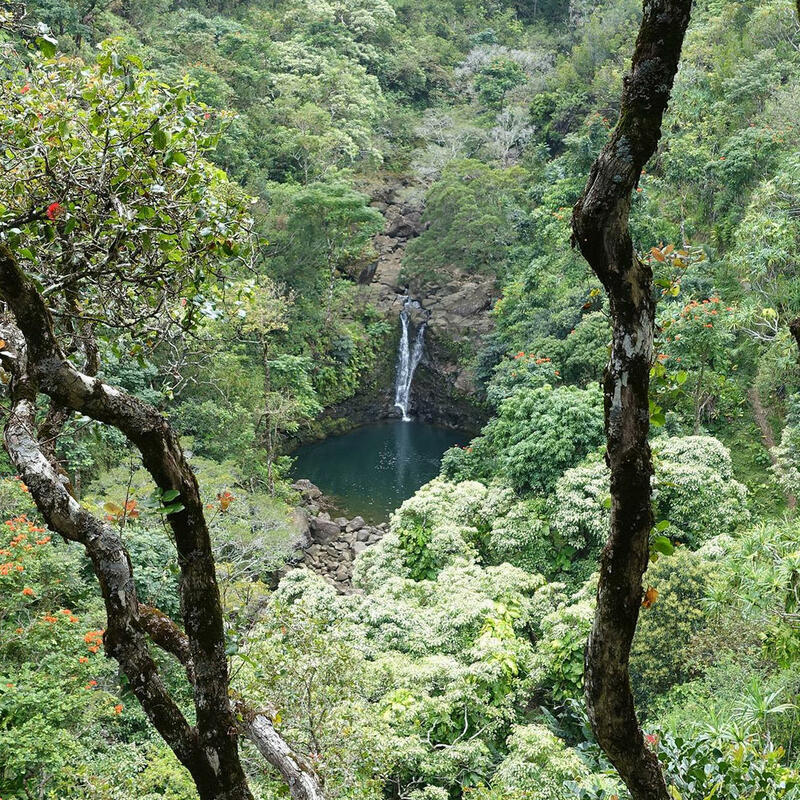 This is the way to access the Puohokamoa Waterfall. Admission to the gardens is $15 per person although the extra activities will cost more.